A lot of you might have noticed that I've posted less and less on the blog over the years. I've started to freelance as a (paid) contributing writer for various sites and publications. In case you missed it, this was an article for Taiwan News of some of my favorites and places I wanted to try last summer. This obviously skews more internationally- as they were new openings of a modern Vietnamese restaurant from Vegas and two Korean BBQ joints with roots from Korea, a world famous Japanese ramen with insane lines, and a cheese shop serving up Italian cheeses. Almost a year later, all of them are still putting out good food and Longtail was even awarded a Michelin star! The only ones I still haven't tried yet are Longtail and EPL- where does the time go? Time for another round up. Do you want to see more round ups like this on the blog? I know my readers are split- many of you are finding my blog when you are researching where to go for a first time visit and others have been living here a long time like me. 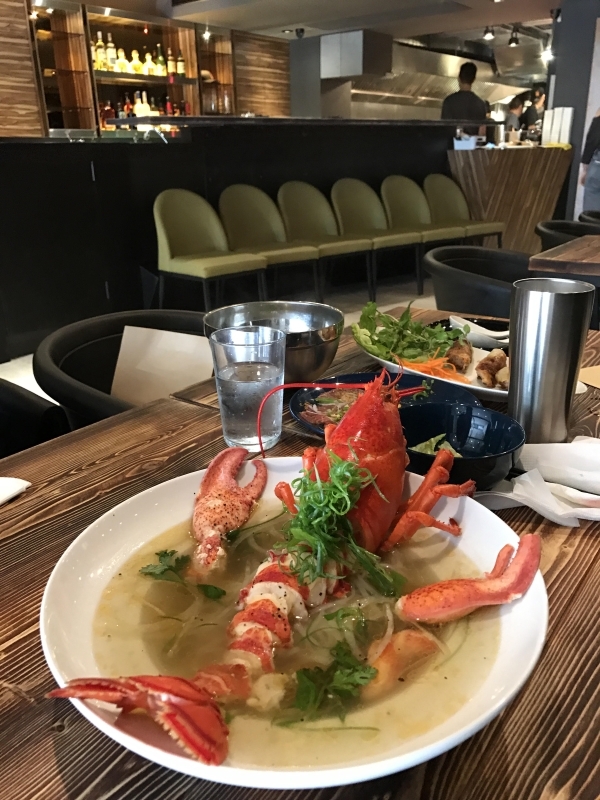 District One Taipei just soft opened last week, but photos of their signature lobster pho have already drawn in crowds to their shop in the Da'an district. Opened by Chef Khai Vu and the team from Revel Eatery, District One brings Vegas modern Vietnamese to Taipei, with delicious dishes like beef carpaccio, crispy egg rolls, oxtail fried rice and pork vermicelli. The lobster pho might get all the (well deserved) attention, but the brisket oxtail pho (NT$300) with the tender meat and beefy broth is definitely not to be missed.